Stampin'Up is having a sale on brand new Stamp sets in the new catalog. These 8 sets are being offered at 15% off now through September 30th. I combined parts of 2 sets, Eastern Blooms on page 91 and Heard from the Heart on page 145 of the current catalog to create the card featured. 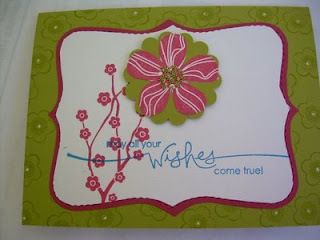 I also used our new Top Note Bigz Die which is a Sizzix die exclusive to Stampin'Up for the background. 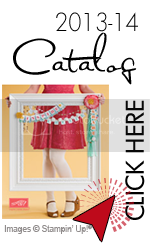 If you would like to view all the dies that Stampin'Up is selling click on the X next to the Holiday Mini. Although everything that is featured becomes available on October 1st except for the dies shown on pages 28-31 that are available for purchase now.